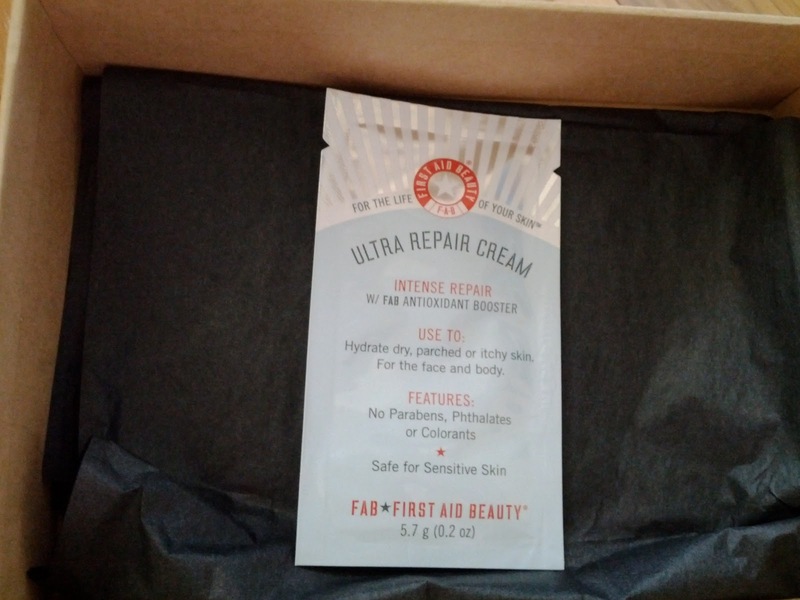 In this months Bellabox, which you can read here, I received a sachet of First Aid Beauty "Ultra Repair Cream." 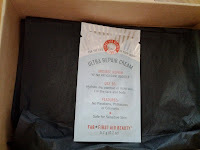 I haven't used their products before so I didn't really have expectations of the brand or the moisturiser. The good thing about the moisturiser is that it doesn't contain parabens, phthalates or colourants. It is for intense repair and is a antioxidant booster. You can use it as a face or body moisturiser. I normally don't use face and body creams on my face for 2 reasons. My skin is more on the oily side, so I find it odd to put something on my face that is supposed to hydrate your body too. And secondly, they are normally heavy and will just clog my pores. So I just used this on my body. As a body moisturiser I LOVED it. It makes you skin so soft and hydrated. It's perfect for your legs if you shave. Even hours later, my skin still felt silky. The only thing I didn't like, was I only got to use it once. It would have been great to have 2 or 3 sachets so I could use it for a few days and see if it continues to hydrate. I will definitely order this from Bellabox once I have finished my moisturiser. Has anyone else used theirs? Did you like it? I agree, sachets aren't so great but I am glad you got a good first impression. I liked it too! I used it on my face and part of my body. My face felt hydrated without feeling greasy and it just sunk in really well. I prefer my moogoo full cream though, it's even better than this. I havn't used it yet! I like when a sample gives at least 3 uses, I think thats a much more fair trial! Oh yeah, forgot to say the blog looks great!